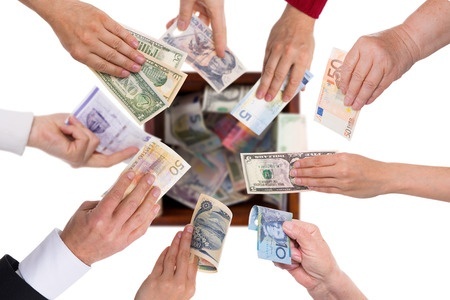 Crowdfunding Community Legal Centres– saviour or saboteur? Sitting at work in my pleasant corner office a few weeks ago, one of my staff came to the door and said, “I need some help replying to an email in the general inbox”. The subject line read ‘Potential new funding model’. The email was basically a ‘cold call’ invitation to support and promote a new crowd funding project to help fund community legal centres (CLCs). A quick look at their site discloses only moderate activity so far. I manage a tiny CLC based at the Student Union at Melbourne University. We are as vulnerable to the vagaries of public funding as the next not-for-profit, although our tenuous grant comes from the pockets of students via the (currently) compulsory Student Services and Amenity Fee. We are therefore not subject to the present round of fund slashing that the razor happy Commonwealth Government has enacted and threatens to further enact on most CLCs. So it was from a slightly arm’s length seat that I read the email asking us to support Lawfunder.org. Proponents of crowd funding say that the goodwill of the online community can be harnessed to plug the gaps left by receding Government support. However critics regard ceding responsibility to private individuals for access to justice as backdoor privatisation. Crowd funding as a model clearly has efficacy and a positive contribution to make in some areas. In many ways it is a modern, internet enabled form of traditional financing models used in the social economy – commonly called co-operatives and mutuals. These models all rely on an interested community who is willing to collectively fund joint ventures and to share the profits. In general social enterprises are characterised by a not-for-profit ethos and emphasise democratic governance and collective ownership. Similarly the litigation funding model is not new. The most common model of litigation funding is as a business enterprise predicated on securing a satisfactory investment return. Crowd funding of legal actions is therefore potentially a community-based version of something with which those involved in class-action work are already familiar. Yet the question remains – how will crowd funded litigation be free of bias or interest in a return of some kind? Crowd funding has the disturbing potential to be a populist funding model. It is hard to see how it might avoid becoming a system which funds only well-regarded or high profile individuals or fashionable legal causes seen as ‘worthy’. How will this help the most vulnerable in society? Moreover, when the model is used to effectively replace shrinking government funding, there are real risks that it is simply another form of privatisation in the public domain. Directly seeking to fill funding gaps left by the Government will not only cement the loss of that funding permanently but also risks giving a green light to further withdrawal of responsibility for the provision of social services. What is wrong with privatisation as long as there are funds? I am of the view that privatisation of services providing social welfare benefit to the community at large is not in the public interest for a range of reasons. History and the experience of many privatised economies tell us that privatisation of public services tends to create unregulated monopolies – in direct contradiction to the free market argument that privatisation increases competition and gives consumers better choice and quality of service. Consider the current state of job seeking networks and the vocational education and training sector for example. Rather, the privatisation of public services aligns with a neoliberal agenda of centralisation, managerialism and bureaucracy. This is totally at odds with the purported ethos of crowd funding and social enterprises. A crowd funding initiative in this context has the potential to end up being another mechanism for the State to shift the burden of community legal funding. Ultimately I replied to the email indicating that, while the initiative sounded interesting, we were wary of actively supporting a shift to private funding of CLCs or moves towards the privatisation of access to justice. We suggested however that we would wholeheartedly support a crowd funding campaign to raise funds to lobby governments to increase funding to the sector. I was pleased to see a thoughtful response indicating the feedback was well-received and thought would be given to using the platform to crowd fund campaigns to increase Government funding. Additionally there are some absolutely critical services, such as the Asylum Seekers Resource Centre (ASRC) which deliberately and almost comprehensively eschews Government funding because of the highly politicised nature of their work. The ASRC is dependent on donations, fundraising and philanthropy because one of its core values is to remain an independent organisation at all times and not to accept funding that will compromise their independence or quality of their work. Accordingly, campaigning and lobbying for appropriate government funding levels to the sector and the funding of politically sensitive services which must operate free from governmental influence, such as the ASRC, is the logical milieu of crowd funding. Perhaps this is where independent community funding – free of Governmental or business interests – could really come into its own.